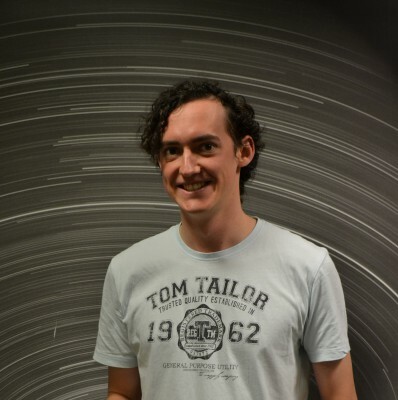 Luke Daly joined the Australian Desert Fireball Network in March 2013 to undertake his PhD as part of the sample analysis team. He moved to Perth after graduating from Imperial College London with an MSci degree in Geology. Luke considers himself a ‘hard rock’ geologist specialising in Geochemistry and Structural Geology. He hopes a multidisciplinary tactic combining Cosmo-chemical analysis, Petrography, and spatial relationships of meteorites provided by the Desert Fireball Network will help unravel the evolution of the early solar system and the development of the proto-planetary disk. When not studying the workings of the solar nebula Luke enjoys playing rugby, football (soccer) Aussie rules, guitar and all forms of amateur dramatics.